Bacillus Bulgaricus is different than any other yogurt starter available on the market. It contains lactic acid bacteria isolated from natural sources in ecologically preserved areas in Bulgaria. It is made and packaged in Bulgaria, which makes it a truly genuine product. It produces yogurt class Bulgarian yogurt of exceptional quality with aroma and taste like no other yogurt you’ve ever tried. Throughout the years we had tried hundreds of different yogurt starters and every single one of them had somehow felt short of the results you get with Bacillus Bulgaricus. You don’t have to trust us, trust the 5000+ reviews we’ve received from our customers, who had tried other yogurt starters bought from Cultures for Health, Natren, even made from store bought yogurts, and in 99.9% of the cases yogurt made using Bacillus Bulgaricus yogurt starter gets ranked the best! For taste, for ease of making, for always setting right. 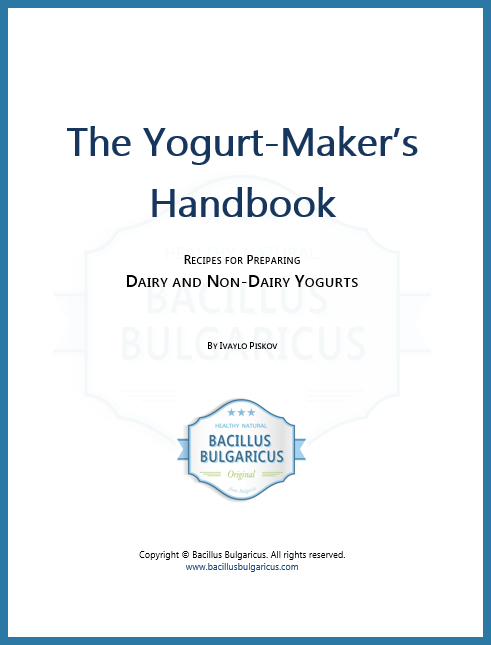 And indeed, if you are looking for the original product, the real experience, the real taste of Bulgarian yogurt and for an easy-to-use no-fuss yogurt starter that can make this thick, creamy and absolutely delicious goodness, get our Bacillus Bulgaricus starter. Try it — it is truly like nothing you have tasted before! This entry was posted in Bulgarian Yogurt and tagged Bacillus Bulgaricus, best yogurt starter, original yoghurt starter culture, yogurt starter.